Highlight your way to a stylish makeover! It’s natural for us girls to want a makeover every once in a while. And most often than not, that means either getting a lob (which is obviously a trend for the celebrities nowadays) or switching to a new hair color. If chopping off your long tresses sounds too extreme, dyeing those locks instead is always a nice alternative. 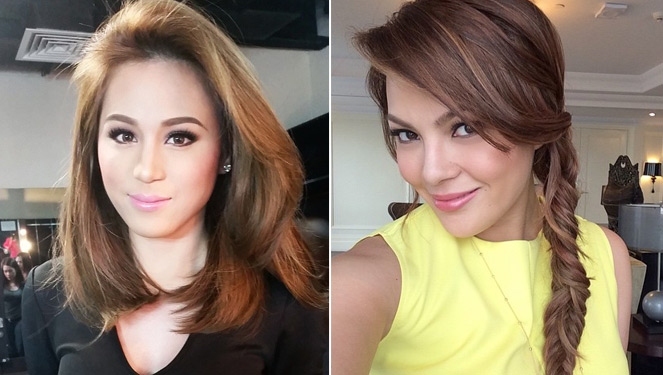 Believe it or not, it can give you an exciting new look and transform you from plain Jane to the belle of the ball. We’ve already given you a guide that will help you choose the right hair color for you, and now it's time to make things a little more interesting. Highlights and lowlights are nothing new for the hair experts, but the techniques used to achieve desired results may vary. We got to chat with Karina Mantolino, owner of Regine’s Salon, and she enlightened us about hair slicing, which is an advanced highlighting method they use in hair coloring. “In slicing, the colorist gets a paper thin section of hair and colors that section with either a lighter or darker shade compared to the existing base color. This contrast in colors adds dimension,” she explained. This is also a nice alternative if you’re not ready to try a full-on coloring as this option leaves sections of your hair untouched. We don’t want to drown you with technicalities because the most important part is still how you’ll look good in it. So with the help of L’oréal Pro education and technical head, Cristy Billones, why don’t we move on to finding your perfect celebrity hair peg? This works best for morena beauties like the Teen Queen Kathryn Bernardo. The dark brown base is nothing too drastic and it’s close to Asian women’s natural hair color; but the streaks of golden highlights will give your tresses an exciting twist to spice up your look. If you have cool complexion like Georgina Wilson, a lighter hair color bordering on light brown to blonde shades even would work best on you. Ask your hair stylist to slice in medium ash brown streaks that will flatter your skin tone. 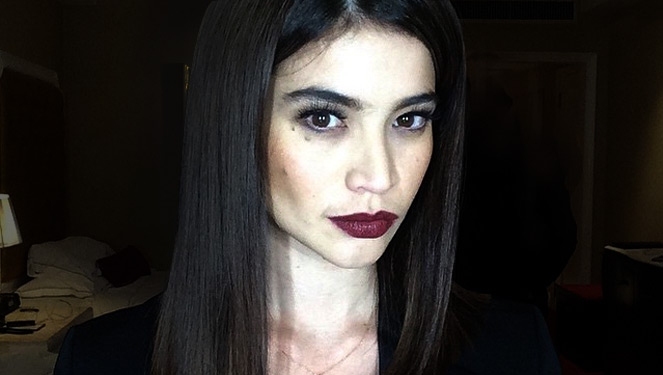 Anne Curtis may be a mestiza but her hair color will work well for those with warm undertones, too. Chocolate brown is a safe base to start with, and copper and auburn shades as highlights or lowlights would look good on any skin color depending on how dark or light your hair stylist is going for.